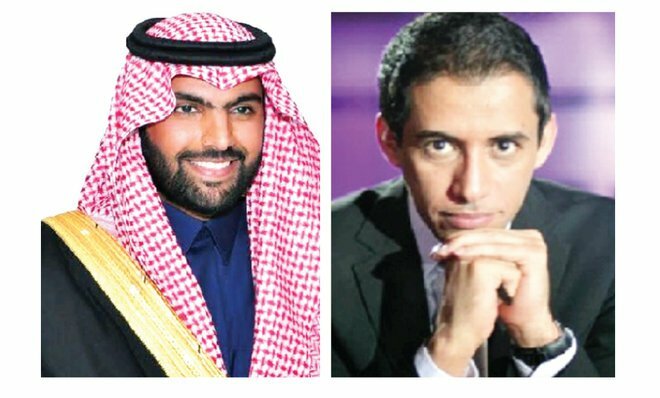 Riyadh – Prince Bader bin Abdullah bin Mohammed bin Farhan Al Saud, Chairman of the Board of Directors at Saudi Research and Marketing Group (SRMG), issued a decision to appoint Battal Al-Qoos as editor in chief of the sports daily newspaper, Arriyadhiah, effective as of September 29. The Prince added that Qoos is a name which requires no introduction when it comes to sports journalism; saying that he has an exceptional experience that combines radio, television and print as well as management. The Prince concluded by thanking the former editor of of Arriyadiah, Eida al-Thageel, for his enormous efforts and announced that he will continue to work with SRMG as a consultant. Qoos obtained his bachelor’s degree and post-graduate degree in media studies from King Saud University in Riyadh. During his career, Qoos held many positions and was received several awards for his achievements. He previously worked as a host on Riyadh radio, Saudi state television’s sports channel and was the editor-in-chief of Shams Saudi newspaper in 2005. He joined al -Arabiya in 2006 and became the head of the sports division as well as a show presenter. Qoos will uphold the new position in addition to his current position at al-Arabiya.